In the midst of current MA action films – dominated by Donnie Yen, Tony Jaa, and Scott Adkins – a new action film industry and action star are rising from the ranks: Indonesia and its’ local representer Iwo Uwais. Uwais debuted in Merantau which came out in 2009 and has since met with good reception by the world’s action film circuits. But unfortunately, the downside of Uwais’ success was that he was often compared to Tony Jaa in that they supposedly had similar styles onscreen. This kind of had a big affect on general audiences that were too familiar with Thai action films and started labeling him as a Tony Jaa-copycat. Despite this, he and Welsh director Gareth Evans decided to strive for something different and distinct to show people that Indonesians can do action films in their own way. 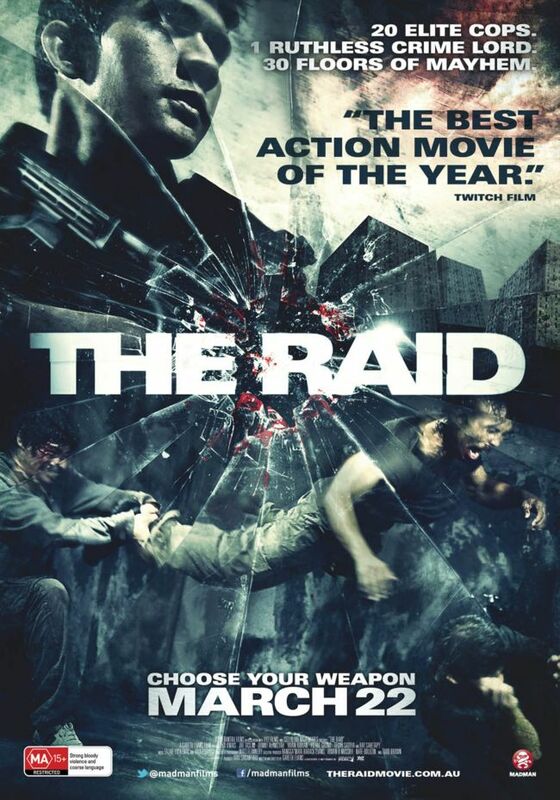 This opportunity came right away with their next film The Raid, which has had us all excited and highly anticipated ever since trailers and exclusive clips (go some posts back to see these clips) were released. While the film awaits its’ US theatrical release (will be out next week), there are reviews of the film already where people praise the hell out of it by comparing it to 1980s and mid 1990s Hong Kong action films – mainly John Woo’s films – as well as with pretty much all current action films in general while also pointing out the complementary narrative that makes the simple plot gripping and captivating – something very few have accomplished with action films. Now Twitch has provided us with a review going in basic detail of the awesomeness of the film. Check the review out below.